It’s not every day that PopcornBiz gets to sit in a refined luxury hotel suite in Hollywood in the company of Larry the Cable Guy, so we rolled up our sleeves (in lieu of cutting them off) and Got-R-Done, compiling his wise and witty takes – in person he speaks with less folksy twang and even sharper insight – on voicing “Cars 2’s” icon-in-the-making Mater, his real-life encounters with cable installers, and where his more sophisticated tastes lie. PopcornBiz: Your director, John Lasseter, says that in some ways Mater has become a modern Goofy, the way that kids have responded to him. And this movie is really Mater’s story. What's that mean to you, having given life to the character with your voice and your distinct comic persona? 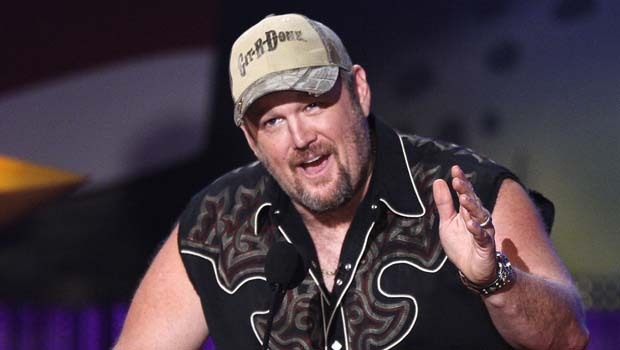 Larry the Cable Guy: It's odd to me, because I grew up in a small town in Nebraska and I'd been doing standup forever, and then, man, when I got the movie that was awesome – and then another one which was awesome. And then for the character to turn out like this, it's the greatest feeling ever. It's such a cool accomplishment in a career. It's something that I know my kids will always be able to enjoy. Not only that, but grandkids when I have grandkids. Far after I'm gone they can go, 'You know, my grandpa was Mater.' 'No kidding?' And to know that Mater will be around for, well, as long as we're around, for as long we don't destroy ourselves. Mater will always be there. So it's like you never really die. I can't even fathom it. It's just very, very flattering and unbelievable. PB: Not that you were ever over-edgy as a comic, but did you see more family audience members becoming fans as a result of the popularity of Mater? LTCG: I think I was Larry the Cable Guy long enough so that people knew what kind of an act I did. You're right – I wasn't like an Eddie Murphy or anything like that. Someone put it the best when they said my fans are the same as Jeff Foxworthy's fans before they got saved and started going to church – they're the same exact people. Jeff's fans go to church more than my fans do, but they're all good fans. You know what? I like the fact that I'm doing kids movies. It shows that I have a good range. I mean, not everything has to be for flippin' kids, but I love doing kids’ stuff. I love that my kids can come see me do something and sit there and I can watch it as a family with them. But I'm also happy that I can do stuff that, when parents want to get away and enjoy themselves, they can come see me – because if they like you doing this they're going to like you doing that. LTCG: Right – Lawrence the Satellite Guy! Owen Wilson and Eddie Izzard chat about the sequel to the Disney hit, "Cars." So, what do they think draws audiences to watch Pixar's latest animated movies? PB: You're not trying to divorce yourself from the thing that put you on everyone's radar. LTCG: I never thought about it at all. The only thing I sometimes struggle with –and it's not really a struggle, but things that I think, 'Maybe I should…' – is that sometimes when I do stuff like this interview, I try to decide should I go sleeveless or with sleeves. 'If I go with sleeves are my fans going to think that I'm selling out?' I keep remembering that I can't feel that way because I didn't start going on stage without sleeves until after the first 'Blue Collar' movie came out. So that's five years or six years of going on stage with sleeves and being popular in comedy clubs. I wore sleeves, but I have to remember the more popular I got I really became known as the guy with no sleeves, because that's how they remembered me from 'Blue Collar'. That's actually the only struggle that I have in my career: when to wear sleeves and when not to. PB: Mater gets a taste of the bigger world in this film. What's the most exotic place you've been shocked to be recognized? LTCG: Wow – that's a good question! Everywhere I've gone, they've known me. Hawaii, Canada – I don't really go a lot of [international] places. I will tell you the craziest place that someone recognized me was in New York City, in a cab. He literally yelled out his window. I was walking down the street there and he was an Iraqi cab driver and he said, 'Larry the Cable Guy – Git-R-Done! I'm a big fan!' I went over and said hi to him. I was like, 'Wow. That's crazy.' Who would've thought that all the way in New York City, a cab driver who barely speaks any English yet he knew ‘Git-R-Done’ and Larry the Cable Guy. PB: What was your last real-life experience with a cable guy? LTCG: It was way back in the '90's, really the only time, because I got a satellite dish in '98 when Direct TV first came out. But I remember it was at my ex-girlfriend's house in Orlando. The cable went out and she called the cable guy. This is about three and a half or four years into the character that I was doing, about '95/'96, and he came to the door and he goes, 'Hey, it's the cable guy.' I go, 'Are you…Larry the Cable Guy?' He goes, 'Oh, sh*t – If I had a dollar for every time I've heard that garbage I wouldn't be doing cable no more!' So evidently that poor guy, every house he'd gone to probably in the last six months said 'Are you Larry the Cable Guy?' I think he was getting sick of it. PB: What would surprise people about you in terms of your tastes, maybe something very sophisticated – like you fall asleep each night after reading Noel Coward plays? LTCG: No. [laughs] But you know what? I love Monty Python's 'Flying Circus'. I loved it when I was a kid. And they probably wouldn't think that I do this: I enjoy watching C-SPAN. I do! I get a lot of great jokes off of C-SPAN. I like watching it. I watch all the shows that are on there. Not only do I get politically educated but I come up with some great jokes. I guess that's probably sophisticated. I can tell you what shows are coming on Monday night at 8. I know all the stuff on C-SPAN!